With the BYOD trend accelerating, Wi-Fi connectivity is now widely provided everywhere in offices, hotels and even schools. This significantly and quickly trend increases demand for Wi-Fi access points, which in turn lead to more provisioning and management issues for network administrators. In fact, a well-designed WLAN controller is usually a solution to relieve administrators from these problems. ZyXEL's Next-Gen USG series integrates AP Controller Technology. It performs business Gateway, anti-malware protection and Wi-Fi centralized management at the same time. In case more Wi-Fi needs to be deployed and managed, an NXC WLAN Controller can be added for higher scalability. 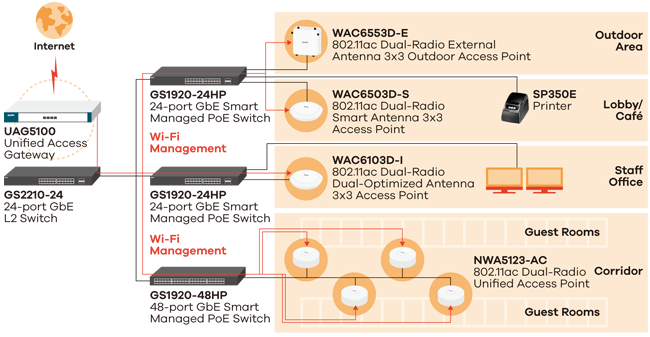 Unified Access Gateway (UAG) series integrates AP Controller Technology. 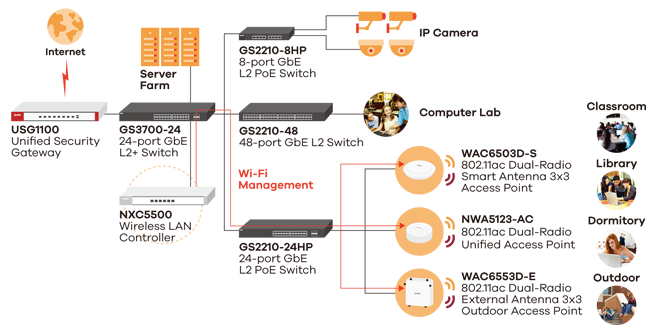 It performs business Gateway, AAA Gateway and Wi-Fi centralized management at the same time. In case more Wi-Fi needs to be deployed and managed, an NXC WLAN Controller can be added for higher scalability. 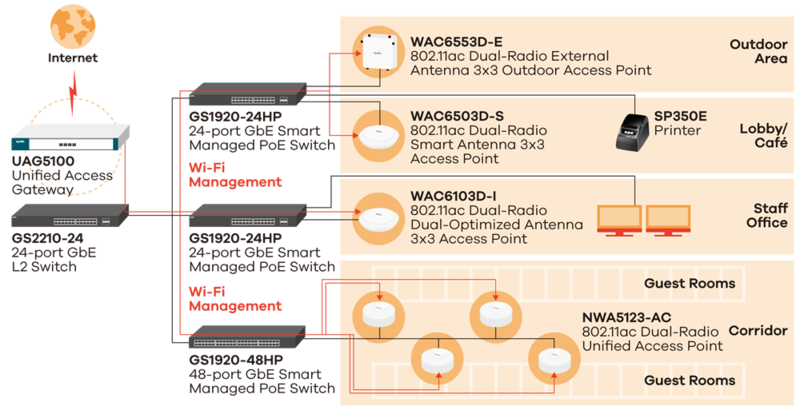 An NXC WLAN Controller with high scalability can manage up to 512 APs, making it an ideal choice for campus deployment.